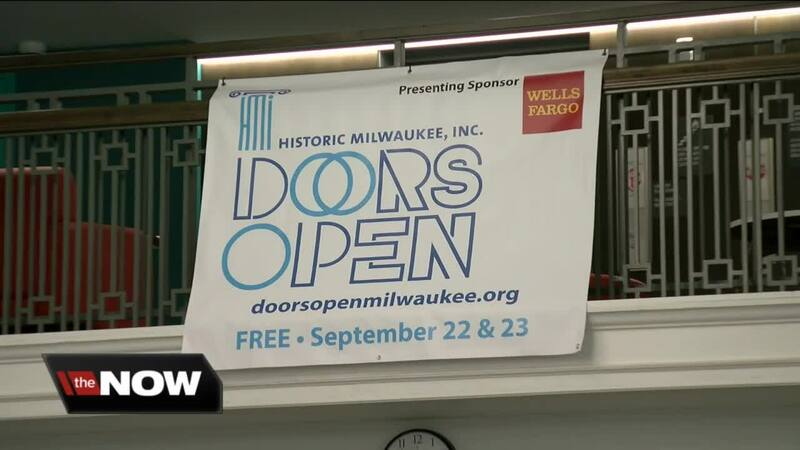 Take road less traveled during "Doors Open Milwaukee"
This weekend is Doors Open Milwaukee. It's a two-day public celebration of Milwaukee's art, architecture, culture and history. More than 26,000 people are expected to participate. They'll have access to free, behind-the-scenes access to 171 buildings throughout the area. One of the greater purposes of Doors Open is to get to people to visit neighborhoods they're unfamiliar or hesitant to go to. The goal is to open minds to new people and places in our community. What many remember as Goldmann's and Hill's department stores on Historic Mitchell Street, are now home to an affordable community health/wellness center, and Milwaukee's newest and largest public library. Both are part of Doors Open. "When I was a kid, my mom used to shop here," said Eric Ledesma. "Mitchell Street is so diverse. It's a wonderful area, even though it may not be what many remember." Ledesma is an Artist in Residence at the Mitchell Street Library branch, which offers ao much more than books. "There's art, food and music programming," he said. "It's truly a community gathering space. Come in with a group of people and see the reality of Milwaukee and this area in 2018. It's safe and vibrant." That request carries over to the north side, along Historic King Drive. America's Black Holocaust Museum, Bader Philanthropies, Gee's Clippers and Pilcrow Coffee are just some of the King Drive businesses participating in Doors Open. "I know there might be a natural comfort for what's downtown, and in faster transforming areas, but I want to bring attention over here," said Fatima Laster. Laster grew up on the north side, in a neighborhood that has one of Milwaukee's highest poverty and unemployment rates. A former banker and construction project manager, her true love is art and design. So, she bought the shuddered Johnson-Goolsby Funeral Home at Port Washington Avenue and Keefe for one dollar. Now, she's spending hundreds of thousands of dollars renovating it into the Five Points Artist Gallery and Studios. It will house a diverse art gallery, nine artist studios for rent, a commercial kitchen for culinary arts, a gift shop, and two apartments - one of which Laster will live in. Doors Open will provide a glimpse at the work she's doing. "I see beauty and opportunity in this area," she said. "It's about bridging the history and culture here, to the rest of Milwaukee. It takes investment to improve." "Bringing people and business into neighborhoods like this is crucial," Ledesma adds. "Once people come and see what's happening, the more willing they are to return." 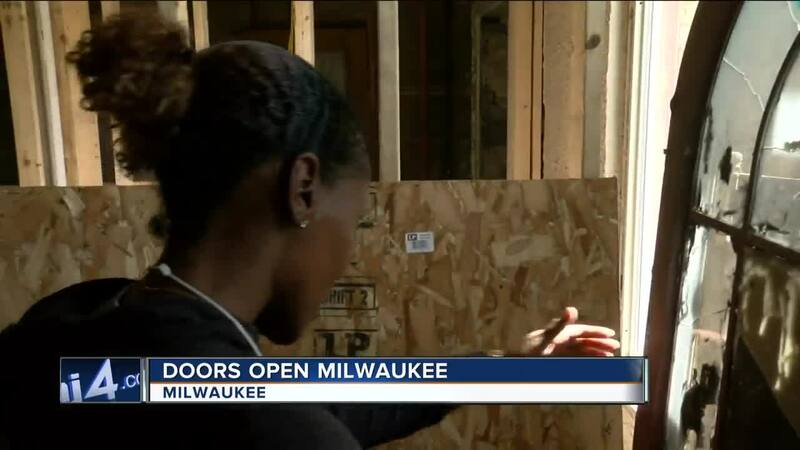 For details on Doors Open Milwaukee click here. To help Fatima Laster create Five Points Artist Gallery and Studios click here . Erick Ledesma’s new programming “Faces of Mitchell” starts next Wednesday 9/26 from 4pm-6pm, and runs every Wednesday until November 14th in the makerspace at the Milwaukee Public Library Mitchell Street Branch.